A great, single level, 2 bedroom, 2 bath condo offered fully furnished including accessories. No steps in or out! Very nicely appointed with an open kitchen/dining/living, a stone fireplace & gas logs, fully equipped kitchen and full size washer & dryer. Two sliders lead from the living & dining onto an extended deck for outdoor dining or relaxing. Easy to care for wood flooring in living/dining, carpeted bedrooms and tiled baths. 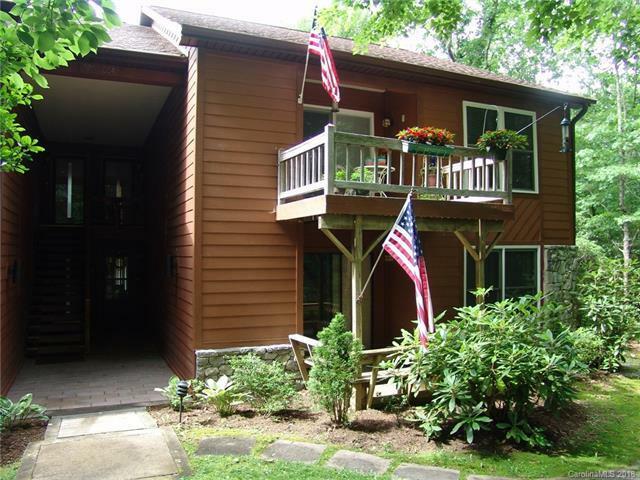 Enjoy the serenity of the unique Lake Toxaway area and the convenience of a central locale for shopping in Brevard or Cashiers. Nearby state and national parks provide a multitude of ventures for the young at heart. Sold by Susan Breedlove Properties Inc.